This week we sat down with Hannah Baptiste to talk about adrienne marie brown's newest book: Emergent Strategy: Shaping Change, Changing Worlds. 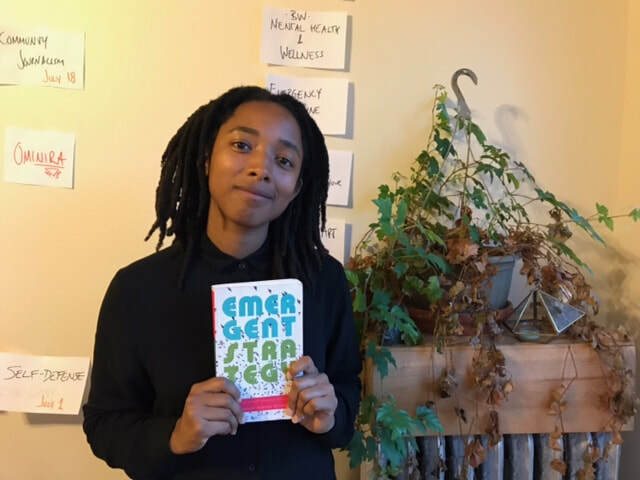 Inspired by Octavia Butler's explorations of our human relationship to change, Emergent Strategy is radical self-help, society-help, and planet-help designed to shape the futures we want to live. As brown argues, change is constant. The world is in a continual state of flux. It is a stream of ever-mutating, emergent patterns. Rather than steel ourselves against such change, this book invites us to feel, map, assess, and learn from the swirling patterns around us in order to better understand and influence them as they happen. Check out episode 18 to learn more about the core principles of emergent strategy and what it means for our movements. 1. What is the strategy of emergence? 2. What is the role of the organizer in shaping change? 3. How does this book help us think through accountability and liberated relationships? 4. What can our movements learn from nature and how it organizes itself? 5. Brown says "all organizing is science fiction," what does this mean?